In the Twitter sphere, the Bird is the word – it’s a great tool for promoting your company meanwhile creating an extra platform for more tailored customer/brand dialogue. But it’s always important to remember what you are dealing with – namely, the internet community. There are very many reasons why a Twitter Fail can turn into a PR nightmare. Here are a few examples of how NOT to promote your business on Twitter. The idea of donating to an important cause wasn’t the issue here, but asking for free promotion and using a horrific disaster to sell it? Not so good. 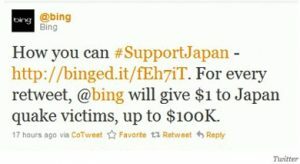 backlash was swift and brutal – Bing found itself in the middle of a PR disaster when an anonymous internet user started the #Fuckbing hashtag. It later apologised, and immediately donated the full $100k to the charity. (That’s one costly Tweet fail). Handing the reigns to your twitter feed over to (a) the underpaid intern or (b) someone who’s clearly dissatisfied with you or their job. Unfortunately Gottfried, failed to consider how his employer Alfac might react – what with them being the largest insurance company in Japan and all. Unsurprisingly, Gottfried was fired from his Iconic role as the Alfac Duck mascot the following Monday. Poor timing was to blame for a British gas PR event. #AskBG was intended to be an innocent Q&A with customer service director Bert Pijls. …There’s nothing like a bit of dry, British humour to bring a brand back down to reality. It’s also worth checking that your promotional hashtag, when grouped together, doesn’t spell out something entirely off-topic. Susan Boyle’s PR team came up with this unfortunate little number #Susanalbumparty –Intended to promote the release of her new album. Although the error in judgment was quickly recognised and changed, Twitter followers had already begun to enjoy free reign. 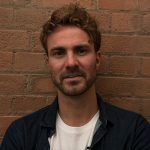 Blackberry have also suffered at the hands of poor hashtag wording when they decided to advertise job vacancies for their up and coming Blackberry RIM – Creating the hashtag #RIMjobs– Yup. 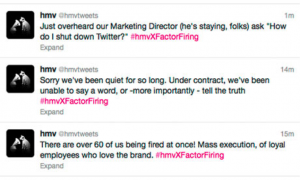 If you are going to fire your marketing team, perhaps it’s wise to ensure that you have control of your social media – the live and very public coverage of HMV’s mass firing in 2013 is a prime example – as reported by their rather disgruntled marketing staff. Twitter is a force for good – spreading the word, getting your name out there and supporting important causes. Just make sure you’re doing it right, or the internet will make a point of telling you otherwise in a very public way!